Our concept of mawt, death is different than what the western world beliefs. When we live in the western world it is very easy to be lost in a different understanding. The Islamic concept of mawt (death) is a transition, it is not a finale. We don’t have the concept of something ending. Shaytan comes into people’s lives and tries to convince them: you came from nowhere and you are going nowhere, and this is like a play in which there is a finale. The reality of mawt, the reality of passing, is a reality of transition. That Allah (Azza wa Jal) describes: We bring life out of death and We bring death out of life. It is two sides of the same coin; hayyun minal mayt, and mayt minal hay. It means from a state of something being in a transition, of not reaching its reality, Allah (Azza wa Jal) from that which looks dead to you can bring life, and from somebody who thinks they are living, can bring the state of death. Means it is merely a transition for us. When we know that we come from a reality, this is a temporary existence and there is a transition to take place for us to reach the reality which Allah (Azza wa Jal) wants for us. The amazing reality within nature because Allah (Azza wa Jal) describes: I will show you these realities upon the horizon and within yourself. It is very difficulty for the people who don’t make tafakkur and contemplation to see the reality within themselves. Allah (Azza wa Jal’s) rahmah (mercy) is: look upon the horizon, look out all around you and you see that reality. Tonight we are breaking (the fast) with dates. You have to hold the seed. You (can) go home and wash the date seed. 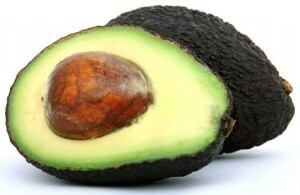 An avocado seed is even better, because it is like a baseball. Hold that seed, wash it nicely, clean it and put it in your pocket. Then keep taking the seed out and (ponder): subhaanAllah, yaa Rabbi how do you from this (seed) like a rock, You are going to bring life? Allah (Azza wa Jal) says from that state of death I am going to bring hayat (life). It is so hard, where is the shakh (shoot) Where is the little tree hidden in it? If you cut it you won’t find it, there is nothing there. But Alah (Azza wa Jal) wants us to know the greater reality because nature submits, we don’t. We see all of the signs in nature, how the animals eat with their head down to be humble. How we see all of nature constantly being rejuvenated, dying and coming to life, dying and coming to life. Every season we see death all around and as soon as the Spring comes, we see life comes back. We see the same trees that looked dead, coming back [to life]. Now when we are break (our fast) you see the seed and you carry the seed with you. You begin to understand that 99% of humanity is in a state of the seed and they are very happy with being the seed. They think that they came into this world to be a seed; they bear no fruit and they did not become a tree, they did not reach the reality which Allah (Azza wa Jal) wanted for them. Means pious people come into our life and teach us: why do you want to be a seed? It is just hard, there is nothing in it, there is nothing about it. Why aren’t you reaching to your reality? It means that the holy month of Ramadan is a time that Allah (Azza wa Jal) meant for us. You are going at a 100 miles/hour and as soon as somebody says, “You can’t eat and drink,” the brakes come on really fast. You can’t do anything and you begin to realize you live for eating. You plan that I am going to go all the way out here and I am going to have lunch, then I am going to go all the way out there and then I will have dinner. And all your excitement is based on eating. All your movement is based on what you are going to have for lunch and dinner and breakfast and we live to eat, we are not eating to live. So Ramadan comes for tafakkur, contemplation and meditation, where Allah (Azza wa Jal) knows: I am going to pull your battery, I am going to pull your energy, sit and contemplate. It means Allah (Azza wa Jal) shows everything exists within us, so you take that seed and put it into the dirt and you come and water the dirt. 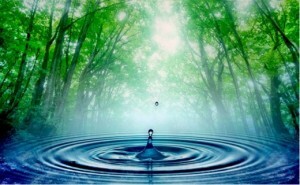 It means there is a state of the dirt, and the reality of what the dirt can carry, because as soon as the water comes onto the dirt; the water represents the angelic reality, because angels are created from water, they became a light, but their reality is from maaye, where Allah (Azza wa Jal) says: My Throne is upon the water. Maa’e ماء is Meem Alif, this is a Muhammadan Reality. 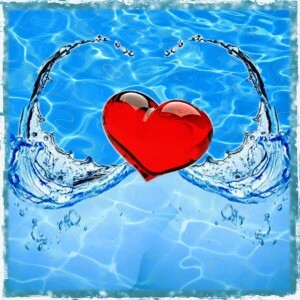 There is nothing between the Meem م and the Alif ا . Allah (Azza wa Jal) describes that: My Throne is upon that water. It means the angelic reality is born from water. That is why if you leave water in a cup of a few days it begins to grow algae, it has the power of life. Water has the power of life, if you leave it something green begins to grow and everybody gets grossed out and throws it away. But that is a big isharat, a big sign, for us that from water there is something being created. Then that is the angelic reality. The dirt is the stable reality. Means when that water comes onto the dirt and the seed has isolated itself, it has cut itself off from all Creation, now Allah (Azza wa Jal’s) miracle can begin. As long as the seed is visible to you, it is a seed. Nobody has been able to hold a seed in their hand and then a tree grows from it. It has to isolate itself, has to hide itself, it has to be something nonexistent. As long as the seed wants to be known as a seed, nothing happens; you keep it in your hand for a whole lifetime and a thousand lifetimes and it will be nothing. 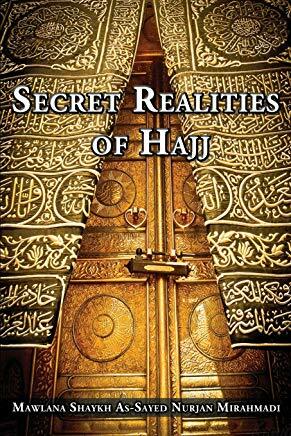 Allah (Azza wa Jal) is teaching us the reality of itikaaf and higher than itikaaf is khalwa (seclusion). Itikaaf means the seed has to make an itikaaf, the seed has to cut itself off from everything, if it wants to reach what Allah wanted for it. The seed when it cuts itself off is planted within the dirt, the dirt hides everything. Now the seed is alone with Allah (Azza wa Jal), it is on the way of knowing itself. As soon as it takes a path of knowing itself, that you must have created me for something more than being hard. Then they begin to water that seed and the miracle that Allah (Azza wa Jal) begins to grant to that hard seed is that a tree grows. A stem comes through the dirt and moves towards the sunlight, and more water is applied and that seed becomes a tree. If you look into the dirt there is no more seed. If you search through the dirt the seed has died, it left that reality. But it is teaching us that is not the death that the west is talking about, it is the death in Islam, the understanding that Prophet (sallallahu alayhi wa sallam) brought for us. That that seed reached its transition. 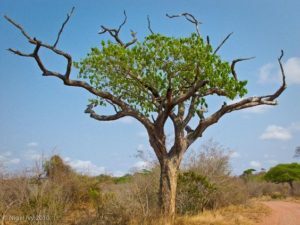 Allah (Azza wa Jal) promised that from that which looks dead He is going to bring life, He is going to bring hayat out of that dead, and it became a tree. And you water the tree and now it has the ability to grow fruits, thousands of fruit. And each fruit has a seed to make a thousand more trees. 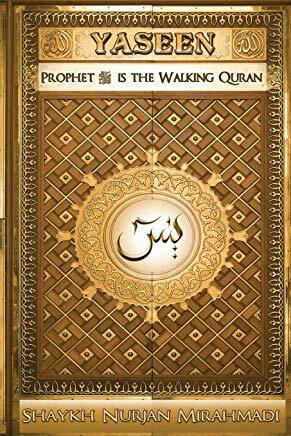 This is `ilm laduni, [Divinely knowledge]. This is the way of realities. Allah (Azza wa Jal) is showing: look what I have done in nature. 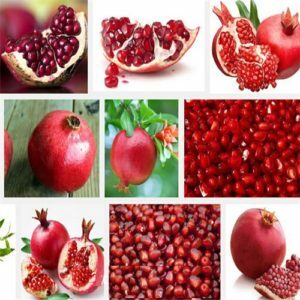 They say the most beautiful one is a pomegranate, from one seed of the pomegranate if it is planted and watered and nourished, it brings you a hundred fruits and each fruit has a hundred seeds within it. If you plant them they become hundreds of trees with hundreds of fruits and Allah (Azza wa Jal) begins to describe and show us Eternity, because as much as you water that tree keeps bearing fruit for you and if you keep planting the fruit you could have an orchard filled with a thousand trees. Allah (Azza wa Jal) says that is Dayim, My ni’mat (blessing) and My rahmat (mercy) upon you will be eternal, but if you leave being a seed. So Prophet (sallallahu alayhi wa sallam) wanted the whole Ummah to experience what the Ahlul Haqaiq already knew. The people of realities, their job is to go around and teach people. That that which you are proud of and that which you only focus on is your form and they [people] only focus on their form and that life is a form. They (saints) are teaching, that form of yours is only a seed! Because Islam (religion) without Iman (faith) is not completion. If you just keep your form and you are proud of your form, and your actions are only for your form, but you did not yet reach Iman (faith) and Maqaam al-Ihsaan (station of excellence). Means that you are walking with a seed and that seed has to be planted. If it is planted correctly means “who knows himself will know his Lord”. Then what Allah (Azza wa Jal) gave us of dirt? Khalaqal insaana min teen (clay). The body is teen, is the purified soil. Your body is the purified soil so Allah (Azza wa Jal) says: your reality is not going to come unless you go deep into your soil and plant yourself means keep your focus not outside but inside. Plant yourself into your reality, isolate yourself from humanity. What they call you, what they know of you, and what they expect of you, is giving you an existence. When you take the path of isolation and begin to train yourself on how to cut (off) from everything. You do your work, you do all you have to do, but you take time when you come home to isolate yourself, to make your tafakkur, contemplation. And [make] a real tawbah (repentance); that, “Yaa Rabbi you wanted something from me and I am just a seed”. Do you know what you do with a seed when you get angry? You can throw it at somebody, because that is all it is good for, it just hurts people. There is no fruit coming from it until it is planted. Once it is planted, and we go into our isolation. The reality of itikaaf (seclusion) in the last ten days [of Ramadan] was exactly that, to isolate yourself. To figure out what is it that you wanted from me yaa Rabbi (O’ my lord). Let me plant myself, that the teen, the dirt You gave is my body, the water that flows through me is the angelic reality, and the fire that exists within me; I have a choice of making this a himma, a fire and a zeal to do good for Alah (Azza wa Jal), or I can give it to Shaytan and the fire within me becomes shaytani. Means we have the ability, this is the mizaan (Scale). They say the great Scale of God is the creation of Adam. That your body is the soil. The greatness of your creation is that your body is a soil, and it has the ability to take My angelic lights, the water, and a reality will grow from you. 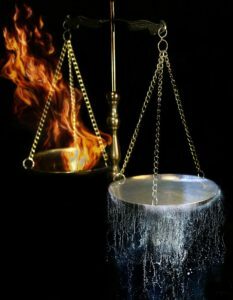 Within your body you also have the reality of the jinn and the fire. Because each one was a separate reality; the angles are from water, they are consistent and constant, there is no darajat (levels) for them, they don’t have a choice to do something bad, so (they are) stable. The jinn are the fire in nature, they tend to lean themselves towards a fiery reality. The great mizaan and the great Scale is the creation of Adam because he has the purified teen. That soil is like a scale, it takes the angelic reality of water so that something can grow, your reality can grow and it takes the fire of the jinn and make it to be a himma (zeal). That is why they control ghadab (anger). If they don’t control the anger/ghadab, they will be overtaken by fire and they become shaytani, they become the vehicle for Shaytan. This is the scale. Our way of the turuq is to teach us how to balance that scale. Plant yourself, spend time to understand and know yourself that what did God create me for? There must be something great. As soon as I plant myself and isolate myself, that self should begin to die. That is why pious people when they look, that person whom their mother brought into this world, exists no more. Like the seed it vanished, its reality is appearing. The reality of the soul of pious people is appearing because they are like trees. They are like the pillars of this Earth and they bear a fruit that thousands can eat. Each fruit you eat will bring you towards your reality, and dress you from your reality. And that is the reality of mawt. Mawt (death) is merely a transition and we came into this life to reach towards that transition. There is no ending, there is no show that is going to be over. Allah (Azza wa Jal), out of infinite rahma (mercy) makes everyone to reach that reality and this is the reality of the qabr (grave). 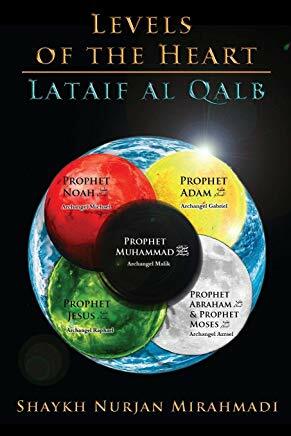 Means those that don’t want to make itikaaf, they don’t want to find themselves, they insist on being a seed, well everybody is going into the qabr (grave) and every qabr fits one person. Means if your mama is good, that is her qabr, it is not going to be your qabr. If your baba (father) is good, that is his qabr not your qabr. You don’t get on anybody’s credit, everyone grave fits only them. That is when Allah (Azza wa Jal) says now you have finished your running let’s make you into a tree, but at that time it is much more difficult, there is no break and you have to be what Allah (Azza wa Jal) wants you to be, and it is very difficult to do that in the grave. When Allah (Azza wa Jal) is giving us this rahma, giving us this life, to reach that realty. It is a different reality from the grave. Means if you plant yourself, isolate yourself, water yourself with your angelic reality. How do you bring out your angelic reality? It is by praising upon God. 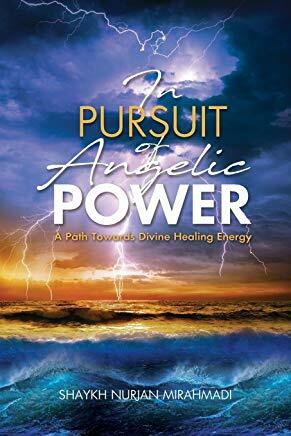 When you say, “Why do I have to come and praise?” What do you think is going to open your angelic reality? The grocery store? Or going here and there and doing things? No! The praising upon Prophet (saws) and the praising upon Prophetic reality. It means the reality of these sounds activate the water. Means then it begins to energize and begins the activation of that seed. Where they plant themselves, within that reality and something new will be born. And that which comes out new bears many fruits. Everybody who eats from that fruit, it has a seed within it to be planted. That is the reality of the students, they are taking and eating from those fruits means they are learning how to plant themselves. And they go wherever they are in the world and they begin to isolate themselves and plant themselves. 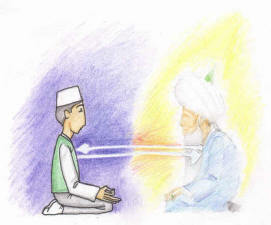 As soon as they isolate and make their tafakkur (contemplate) then they begin to water from these realities. Allah (Azza wa Jal’s) rahma (mercy) is that this water is waiting; zikrullah is waiting, salawaat on Prophet (sallallahu alayhi wa sallam) is waiting, Awliya from Barzakh are waiting. 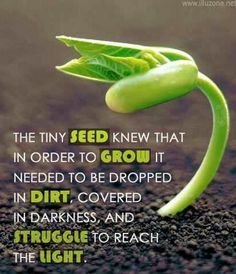 But you can’t water a seed that is in your hand and running around because you throw some water and it drips everywhere. That is why they teach that if you want to reach to these realities, take the way of isolation. Take the way of getting to know yourself, isolating, cutting off from creation. All of what creation calls me, all the title the creation gives me, what they expect from me, cut that. It means nothing in the grave. The truth is if you don’t know yourself there is no way to claim that you know your Lord. Means you are a seed trying to claim you are a tree. They [saints] teach us, this is the reality from Ramadan. Why the last ten days of Ramadan and the reality of [ten days] itikaaf? It is to slow everything down. Prophet (sallallahu alayhi wa sallam) said, One hour tafakkur (contemplation) is 70 years of your worship. One Hour is like 70 years of worship! Then make tafakkur and contemplate. Try to figure out in your life what is it that you are meant for? You have to be meant for something much greater than just eating and going to the bathroom. Means there must be a reality that Allah (Azza wa Jal) wants to bring out. It requires for us to plant that seed, water it with zikrullah and for that tree to be born and this is from the realities of Ramadan. InshaAllah we pray that Allah (Azza wa Jal) opens for us from those realities, and Prophet (sallallahu alayhi wa sallam) opens from these lights, and that Awliyaullah inspire and grant a himma (zeal) within our being, to begin to control all the bad characteristics. And you begin to cut all of these characteristics so that that seed can grow towards its reality. We pray that Allah (Azza wa Jal) grant us to reach towards the Oceans of Power, to take the seed to become the tree, and the tree to bear fruits, and to be of service to Sayyidina Muhammad (sallallahu alayhi wa sallam), of service to Allah (Azza wa Jal) and under the feet of Awliyaullah. Subhaana rabbika rabbil `izzati `amma yasifoon wa salaamun `alal mursaleen wal hamdulillah rabbil `aalameen. Bi hurmatil Muhammad al-Mustafa wa bi sirri surat al-Fatiha.